As IT admins figure out how they should be leveraging the cloud, organizations are in a state of transition. 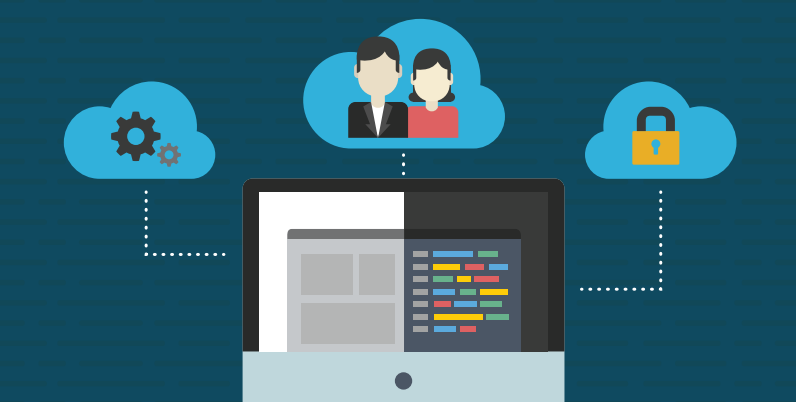 One foot on prem, one in the cloud – this is what we call being “hybrid cloud”. Most IT organizations are leveraging this hybrid cloud model. Unless you’re starting from scratch, you likely have existing systems and infrastructure in place on-prem. So, while the benefits to the cloud are immediate, the transition usually takes time to complete. The challenge then becomes how to manage both on-prem and cloud systems. 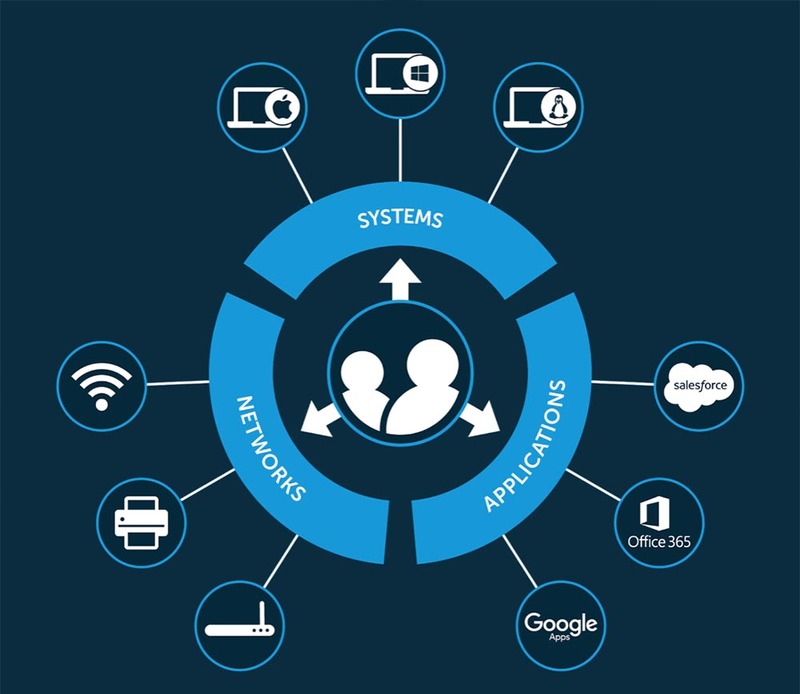 Cloud identity management and hybrid cloud are the two solutions that go together. Wherever possible, the IT infrastructure was Microsoft Windows and on-prem. Any components that were non-Windows and off-prem were likely managed outside of the IT management structure. Generally, that was fine because there was only a limited amount of IT resources outside of the Windows and on-prem norm. That all started to change over the past decade and a half. It began with just a few IT resources that were off-prem or hosted in the cloud. Salesforce was one of the first popular web applications to be delivered from the cloud. On the infrastructure side, the website was one of the first components to live outside of the company. At the time it was just static marketing activity with little risk. Then came AWS and Google Apps. That meant more critical infrastructure was starting to be delivered from the cloud. The move to the cloud was on. However, not everything moved. A user’s day-to-day activities were in the office, so network access still meant something. Often file servers remained on-prem along with the hosting for some major applications. A user’s device still traveled with them and was critical to their activities. IT was straddling both on-prem and cloud IT resources. This emergent hybrid model is one that is likely to continue for a long time to come. On the one hand, the advantages to shifting to the cloud are impossible to deny. But on the other, keeping select IT resources on-prem also has its benefits. The challenge for IT is how to manage the hybrid cloud environment. This is especially troubling when it comes to identity management. 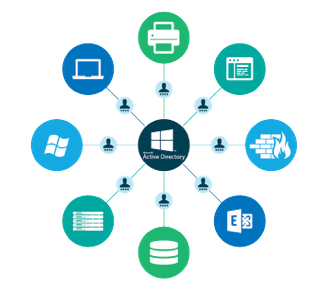 Historically, because everything was on-prem and Microsoft Windows based, Active Directory® was the easy choice. In fact, it became so dominant that it was perhaps the largest market share solution Microsoft ever built. But as IT admins know, AD wasn’t built for hybrid cloud. It wasn’t built for non-Windows infrastructure, either. As a result, if IT admins wanted control over user access, a replacement to Active Directory was needed. 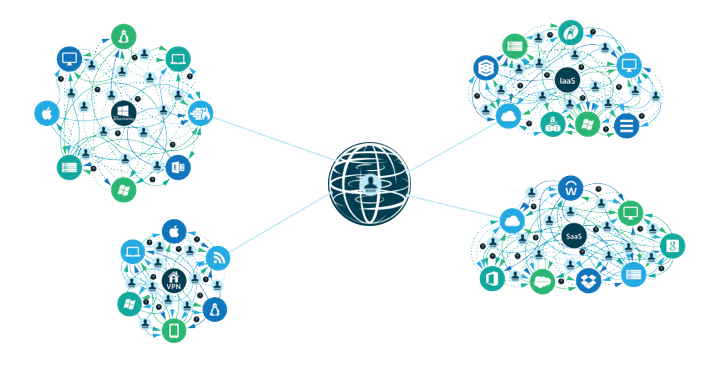 Enter a new generation of technology called cloud identity management. This approach to identity and access management cuts across the boundaries that Active Directory created. Cloud identity management is agnostic to provider, platform, protocol, and location. In fact, it excels with both on-prem and cloud resources. It welcomes Mac and Linux systems in addition to Windows. It seamlessly integrates with Office 365, G Suite, and AWS. The IDaaS model is to securely connect users to whatever IT resources they need, including systems, applications (cloud or on-prem), and networks. IT organizations can now shift what they want to the cloud and keep whatever resources make sense on-prem. They aren’t beholden to their identity management tool. In fact, it’s the other way around: IT organizations can choose the right IT resources for their organization and then integrate them all together with one cloud identity management platform. 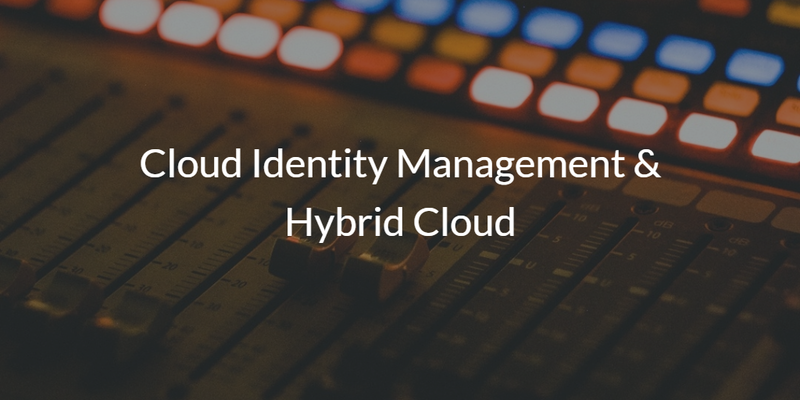 Drop us a note to learn more about how your hybrid cloud organization can centralize user management through cloud identity management. Alternatively, sign up for a free account and check out our IDaaS platform for yourself. Your first 10 users are free forever.